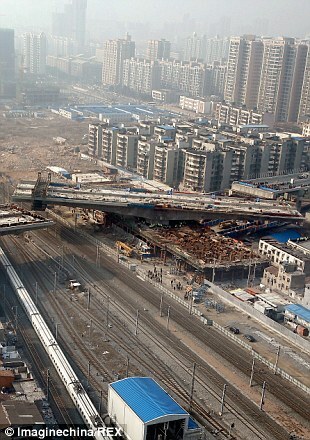 Forward-thinking engineers in China are the first in the country to have built a section of an enormous overpass and rotate it into place upon completion so as not to disturb the railways below. 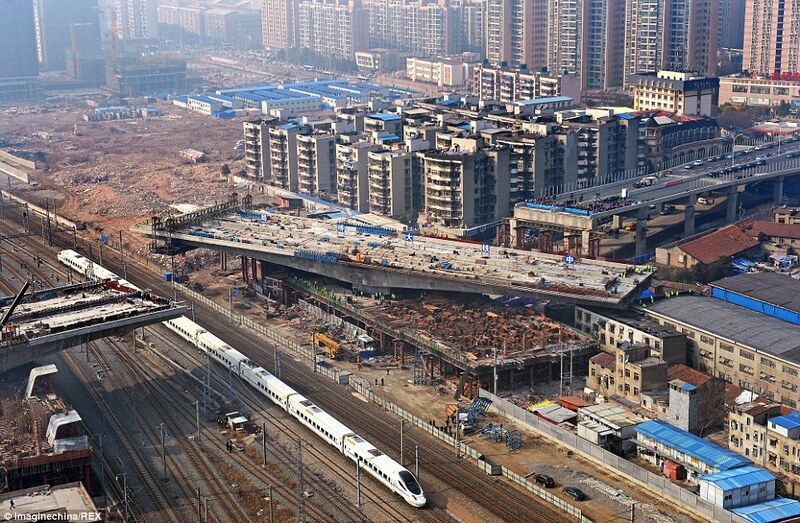 A 17,000 ton part of an elevated motorway was today slowly swung into place in Wuhan City after being constructed independently beside a high speed railway track. Experts took 90 minutes to connect the section to the rest of the bridge, tuning it 106 degrees on a 15metre high axis. 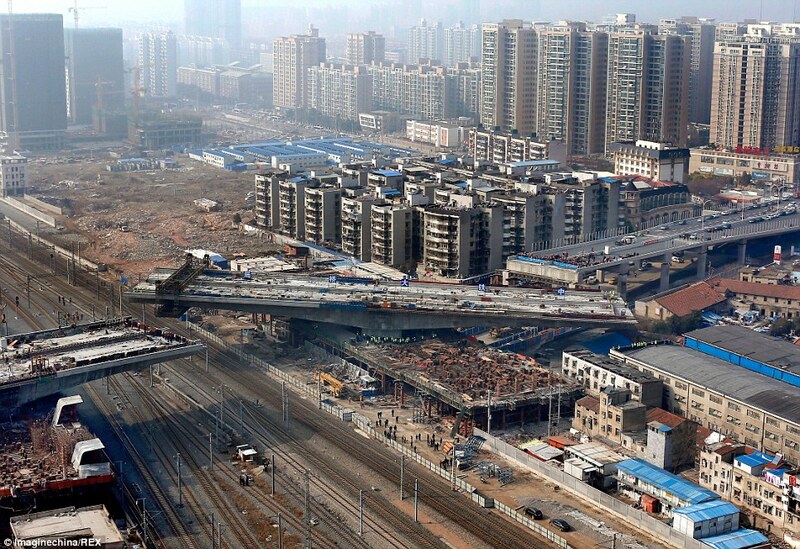 It was the first time the innovative technique had been used in China. 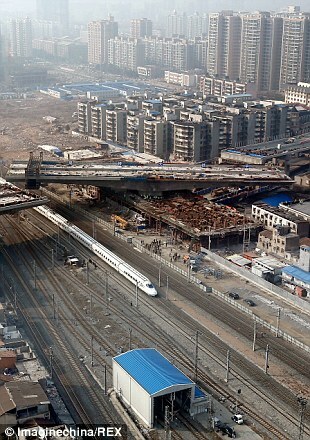 The country has the world’s longest high speed rail network with over 6,200 miles of routes in service in December 2012. 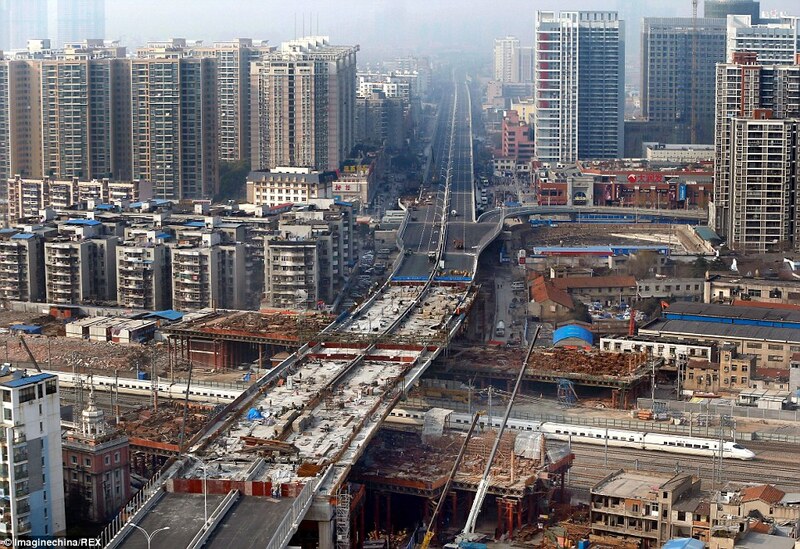 The track beneath the bridge in Wuhan City was considered too important to be temporarily halted in order for engineers’ to complete construction. 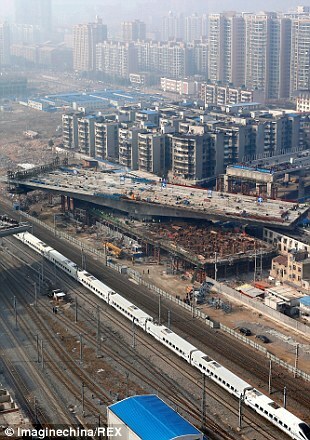 Once finished, the overpass will be 256m long and span 11 railways, including the 1,428 mile-long Beijing-Guangzhou service. Experts estimate the bridge will be open to traffic later this month. 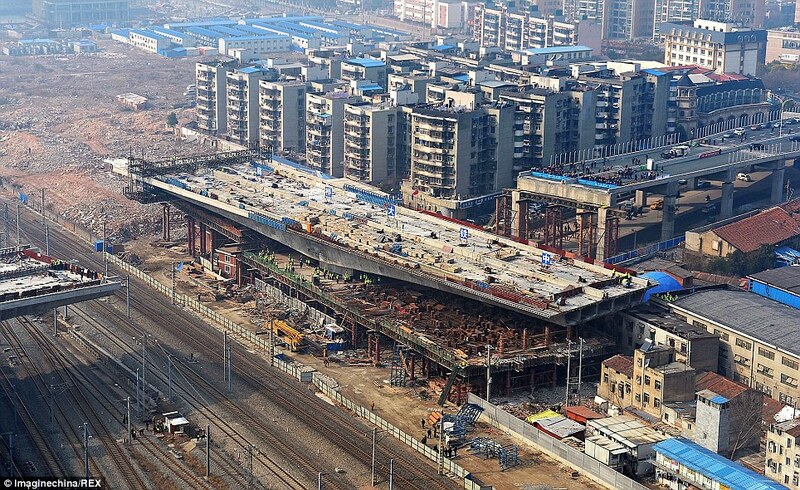 The 17,000-ton structure was rotated at 106 degrees on a 15metre axis. A similar technique was used to construct the Grade I listed Kingsgate Bridge across the River Wear in Durham in 1968.